The imposing central pillars in Göbekli Tepe’s Enclosure D both sport wide belts, at the front of which, beneath a centrally placed belt buckle, fox-pelt loincloths have been carved, the animal’s hind legs and long bushy tail extending down to knee level. That leaping foxes appear also on the central pillars in the large enclosures at Göbekli Tepe suggests that the entrant passing between their twin central pillars would have encountered this vulpine creature upon accessing the otherworldly environment reached via the enclosures’ inner recesses. So why foxes, especially as they are usually seen in primitive religions, especially in Africa, as cosmic tricksters, evil twins of the true creator god, responsible only for chaos and disarray in the universe? Was the fox the chosen animal totem of the Hooded Ones, the faceless individuals portrayed by the T-shaped pillars? If the answer is yes, then what does it mean? The key is the strange belt buckle immediately above the fox-pelt loincloth on the enclosure’s eastern pillar (Pillar 18). A similar belt buckle is seen on the western pillar (Pillar 31), although here it is left unadorned, in the same way that the figure’s belt, in complete contrast to the one worn by its eastern counterpart, is completely devoid of any glyphs or ideograms. Only on the eastern pillar does the belt buckle reveal something very significant indeed. It shows a glyph composed of a thick letter U that cups within its concave form a large circle from which emerge three prongs that stand upward. That this emblem is worn centrally, on a belt festooned with strange ideograms, suggests that it has a very specific function. Having examined the belt buckle glyph at some length, it is the author’s opinion that it represents the principal components of a comet. The circle is its head or nucleus, the U-shape is the bow shock that bends around the front leading edge of the nucleus and trails away as the halo. The upright prongs denote three separate tails, with multiple tails being a common feature of comets. That the comet’s “tails” on the belt buckle stand upward also makes sense, for these are often seen to trail into the night sky as the comet reaches perihelion. This is its final approach and orbit around the sun before reemerging on the other side in readiness for the return passage through the inner solar system. As this takes place the solar magnetic fields cause the gaseous particles of the comet to point away from the sun, and so when the comet is seen in the sky, either in the pre-dawn light or, alternatively, just after sunset, its tail or tails point upward from the horizon creating an unforgettable sight. Yet even assuming that the belt buckle glyph does show a comet, could this not simply be a personal device without any real meaning to the function of Göbekli Tepe? This appears unlikely, since the pillar is festooned with ideograms of a probable celestial nature. The belt’s C and H glyphs would appear to have cosmological values, as does the carved eye held within a slim crescent worn around the “neck” of the T-shaped monolith. In addition to this, it does seem as if Enclosure D’s eastern central pillar has a greater function than its western neighbor, almost as if one twin is alive, while the other functions as a ghost or echo of the other. 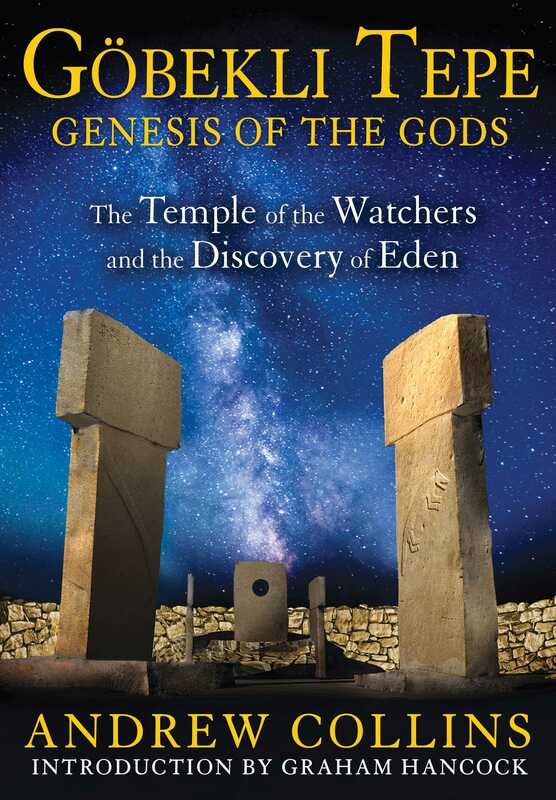 Regardless of these facts Pillar 18’s belt buckle is simply not enough to demonstrate that comets held some importance at Göbekli Tepe. There is, however, another tantalizing link between the symbol of the comet and Enclosure D--this being the fox-pelt loincloths seen beneath the belt buckle on both monoliths. Universally the fox, and the fox tail in particular, has been seen as a metaphor for comets due to the hairlike appearance of their long tails. Even in British heraldry the device known as the comet or blazing star is drawn to resemble the fox’s tail. It is for this reason that comets have occasionally been personified as having clear vulpine and--as we shall see--canine (doglike) and lupine (wolflike) qualities of a dark, foreboding nature. That the hunter-gatherers of southeast Anatolia so readily gave up their nomadic lifestyles in order to build monumental architecture in an unprecedented manner argues persuasively that this incoming, godlike company of the “Hooded Ones”--represented by the T-shaped pillars--must have had some kind of hold or influence over the people. Perhaps they claimed they had some direct connection with the supernatural creature behind the manifestation of comets. Is it possible that the enclosures embody a belief that by synchronizing the enclosures with cosmic time cycles it would help provide the builders with enough information to control the influence of comets on a supernatural level? Was it these communities’ absolute fear and loathing of comets that motivated them to abandon their old lifestyles in order to build monumental architecture on such a grand scale?